April 2019 can be defined as the introduction of an internal transformation process, due to the retrogradation of three planets: Jupiter (10/04), Pluto (24/04) and Saturn (29/04). What does this mean in terms of the astrological transits of April 2019? The retrograde phase of the dwarf planet Ceres in the sign Sagittarius (09/04) will also begin, which brings us back to difficulties in the transmission of knowledge. Let us not forget that the retrogradation of Jupiter will also take place under the influence of Sagittarius, so it is a propitious period for the revision of personal beliefs (positive and negative). Besides, the apparent retreat of Pluto and Saturn in Capricorn refers to internal obsessions and fears, which threaten opportunities for development. Here are some of the planetary events that will affect the astrological transits of April 2019. Ceres in Sagittarius finds satisfaction in travel and in sharing experiences. In its retrograde phase, the dwarf planet invites to reflect on the nature of procedures and transfers abroad (is it a conscious decision or an escape?). The fear of being replaced by a disciple or student and the conviction that there is still much to learn. 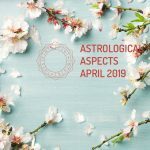 Jupiter’s retrogradation in April 2019 imposes a deep analysis of personal beliefs, and the extent to which they are capable of motivating you or blocking your intentions. Likewise, relevant considerations are raised about academic interests, and plans in international contexts. Uncalculated risks lead to frustration. The lunar month comprises 29.53 solar days. In this period of time, the Moon visits each of the twelve zodiac signs for a (approximate) period of two and a half days. The temporal distribution causes the appearance of phenomena such as the Full Moon, which should not be confused with the Blue Moon. The Full Moon indicates two full moons in the same sign, during a calendar year. While the Blue Moon refers to two Full Moons that occur in one month. The emphasis will be on what produces security, the scale of personal values, and self-confidence. Extreme prudence may prevent taking necessary risks. Beware of possessive attitudes, jealousy and stubbornness. Manifestation of repressed feelings, especially those of negative orientation (anger, jealousy, frustration, envy). Learning is centered on knowing and accepting one’s own shadow. Fear of failure. Difficulty in working on personal safety. Delay in the results of plans, drawn up in the long term, provokes self-punishment. “Errors” are also indicators of the right path.